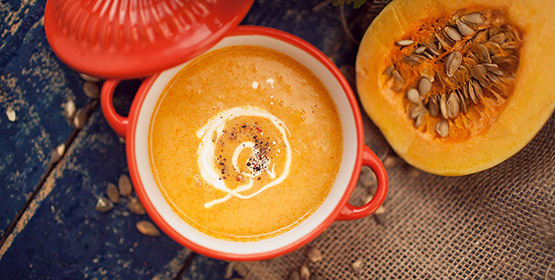 Butternut squash is magical. It's filling, like sweet potato, but it isn't a proper carb. Choosing butternut squash as a vehicle for wonderful ingredients (in this case, cheese) is a no-brainer. 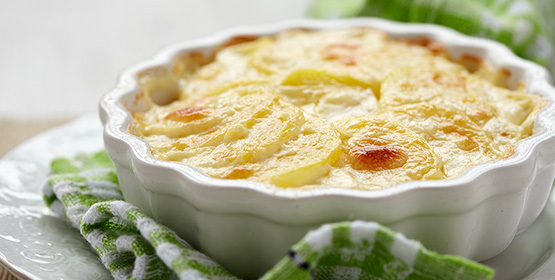 This is kind of a gratin/dauphinoise and is creamy, tasty and cheesy. Preheat the oven to 190°C. To make it easier to cut, pierce your butternut squash a few times all over and microwave for 3 minutes. Then peel, de-seed and chop the whole lot into thin slices. Chop the leek into thin slices and set aside. In a saucepan, simmer the milk. Then add the cornflour (combine the flour with a drop of milk or water first to form a paste, so it doesn’t go lumpy). Add a teaspoon of rosemary, a sprinkle of salt and pepper, crush your garlic into it, then crumble the blue cheese into the milk. Simmer it for 15-20 minutes on a medium heat, stirring occasionally. Add about half of the squash and leek into the bottom of your lasagne dish and sprinkle half the mozzarella over the top. Drizzle about half the blue cheese sauce over the top and then add the remainder of the vegetables. Add another layer of the blue cheese sauce over the second layer of veg, trying to give a fairly even coverage, and sprinkle the remainder of the mozzarella over the top. Bake it for 40-45 minutes, until the squash is soft and the cheese is golden-brown. Serve it with green veg. This also freezes really well – I’d actually say it tasted better after being frozen – so save some for later too! 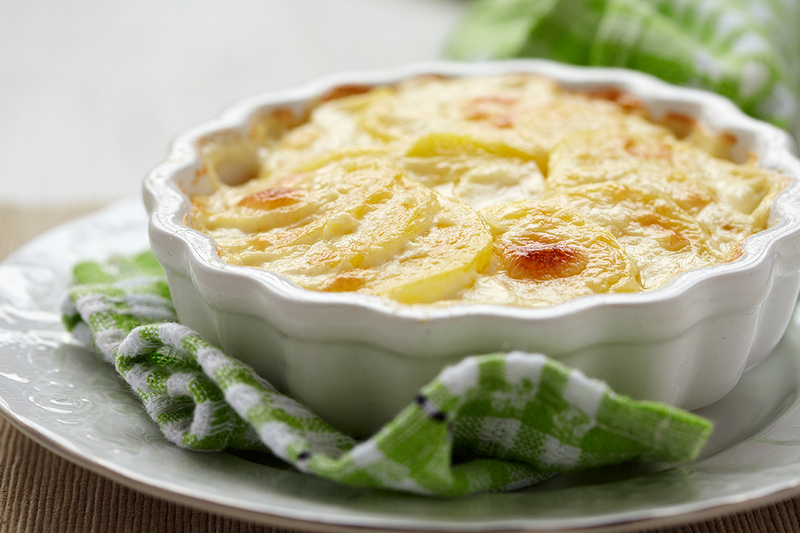 We hope you enjoy creating this beautiful recipe, why not try it on one of our range cookers? 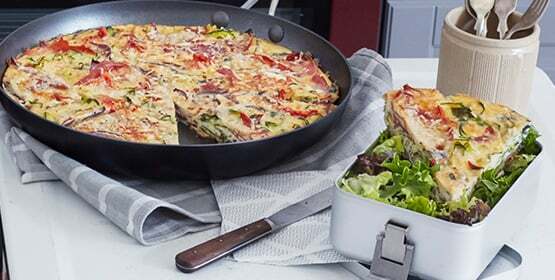 Choose from a large selection including electric range cookers as well as colourful red range cookers. 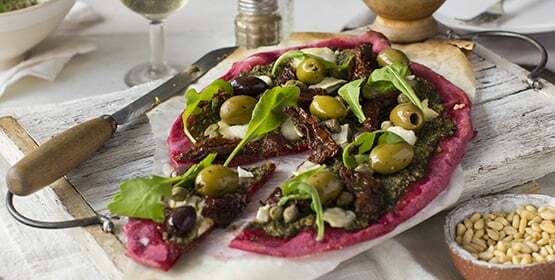 This makes for a great vegetarian starter. A stunningly robust winter salad, full of earthiness and sweetness. 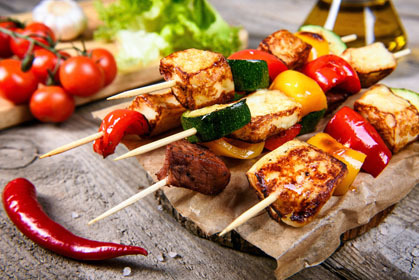 Got a crowd of hungry sports fans coming over? 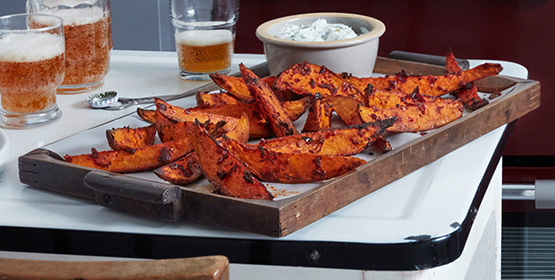 Whip up something satisfying like these sweet potato wedges. Weather not playing ball? Don’t cancel your barbecue. 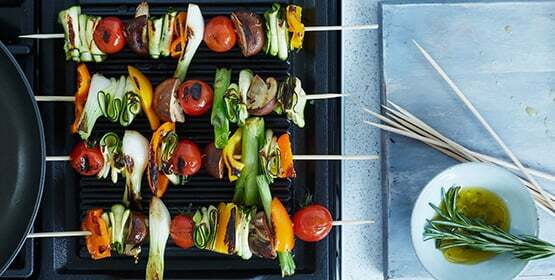 Cook it inside on your griddle and make these delicious vegetable kebabs. Butternut squash is magical. It's filling, like sweet potato, but it isn't a proper carb. A vegan-ised version of a Turkish classic, Börek. 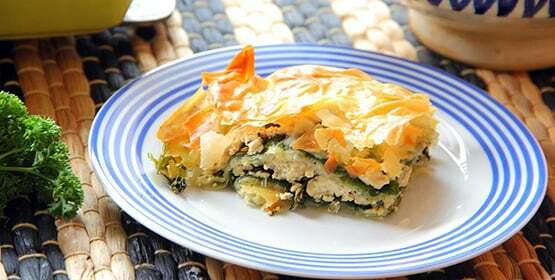 With layers of filo pastry, spinach and tofu mixed with fresh mint and baked in the oven. This soup is super-tasty, and thanks to the chilli, it has a bit of a kick. It’s wonderful with some fresh-baked bread rolls. 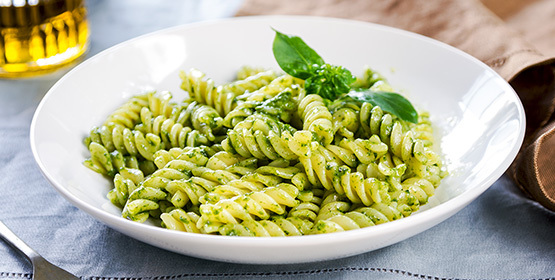 Tasty, light and guilt-free, this dish is so simple to prepare, cook and eat. 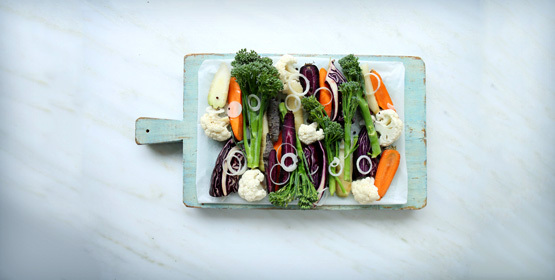 The beauty of this dish is that you can add any type of veggies that you have left. 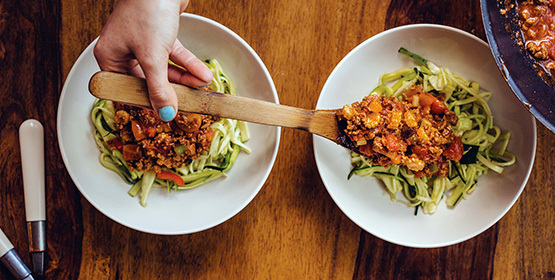 This is a beautifully sweet and spicy dish. 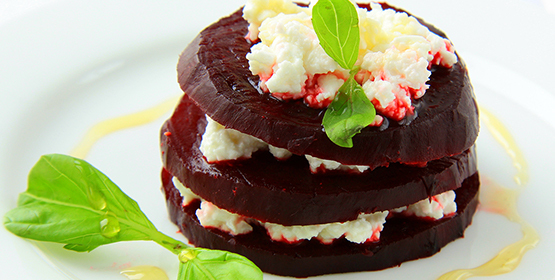 The result is a beautiful combination of flavours and a fresh, delicious salad with a twist. 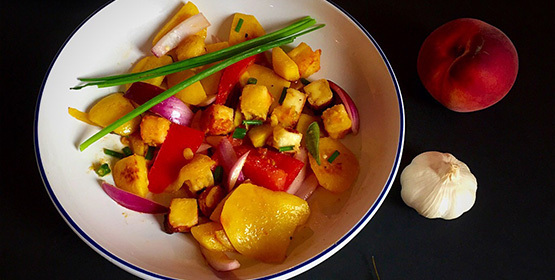 The grilled seasonal vegetables in a soy dressing on the side are fabulously packed with flavour and retaining a good texture.